After last year's holiday excursion to Victoria, B.C., I couldn't wait to come back. The beautiful Canadian city quickly claimed a spot on my list of favorite things to do in the Pacific Northwest, and I've recommended it to couples, families and solo travelers alike ever since. 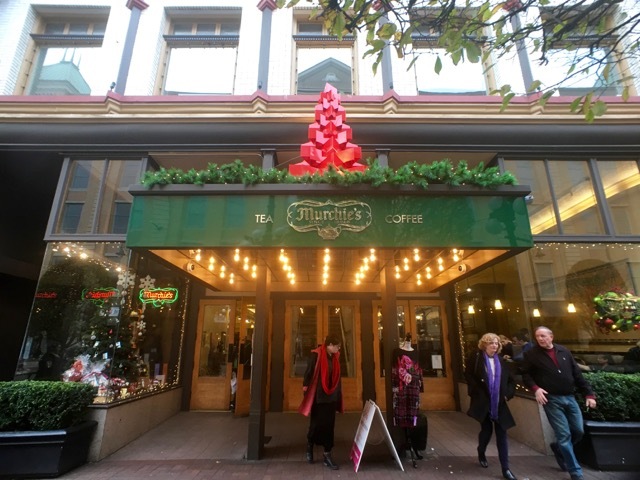 We went back up to Victoria last weekend to get a head start on the holiday shopping season. Clipper Vacations graciously hosted us again, this time for an overnight trip that focused on the sights, sounds, and shops of Downtown Victoria. We stayed at the beautiful Hotel Rialto, a boutique hotel right next to Victoria's City Hall. Jacob and I prefer AirBNBs and boutique hotels when we're traveling, so the Rialto was right up our alley. It's a short walking distance to pretty much anywhere in Downtown Victoria, about a mile from Craigdarroch Castle and minutes from Chinatown, the shopping district, and the Wharf. I took full advantage of our night in the Superior King Suite with a workout in the living room, a bubble bath, and watching the Husky game. Hotel Rialto is home to Veneto Cafe & Restaurant, which has great drinks (sit at the bar & watch the bartenders do their thing) and a mean cup of hot cocoa to go with your Sunday brunch. Don't miss the alleys of Downtown Victoria, like Fan Tan Alley! They're filled with little shops and cafes. Murchie's - I love the kitschiness of this tea shop & cafe. It reminds me of London! Sweet Dreams - Beautiful bedding and other home goods. Amelia Lee - Contemporary thangs for ladies, babies and random accessories. Still Life for Him & Her - Smartly curated modern boutiques for ladies and gents. Vintage After Death - an awesome vintage store where everything's 20 years or older. Reunion - another really great contemporary boutique. Bon Macaron Patisserie - Macarons of course. Silk Road Tea - another very popular and really great place to buy tea. Deco de Mode - in case you need to get your nails or lashes did! Munro's Books - because I love a great bookstore and you should too. Sitka - this indie boutique really captures the Pacific Northwest vibe. The Regional Assembly of Text - the cutest little stationery store! 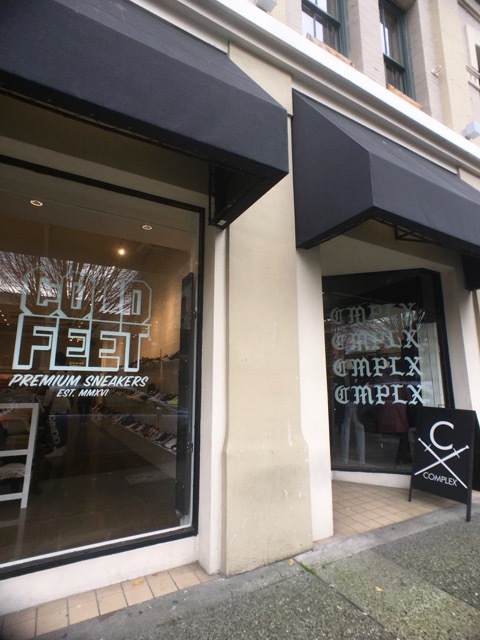 Complex - I can never pass up a sneaker boutique. Spank Clothing - comfy & cute clothes with a local flair. Duchess & Duke - a sweet little consignment shop in Chinatown. Chintz & Company - this decorative home store is always fun to walk through when you're in Chinatown and/or waiting for your table at Jam Cafe. 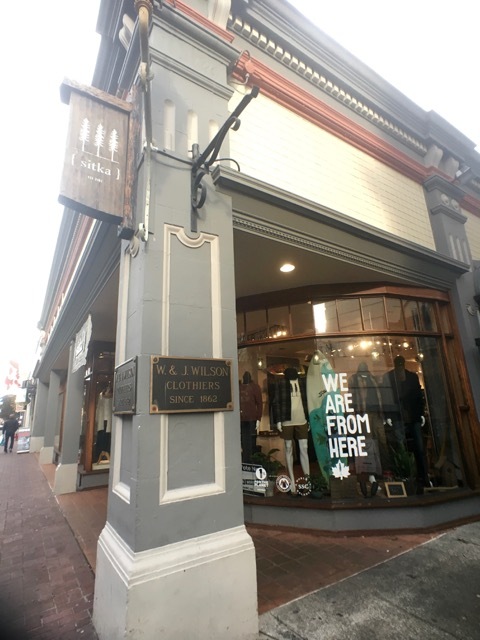 The Milkman's Daughter - a beautiful boutique filled with the work of local makers and creatives. Phew! That doesn't even include the coffee shops and restaurants! We had dinner at Be Love, which specializes in nourishing whole foods and vegan dishes. This was the perfect balance to our lunch meal at Hank's, a barbecue restaurant we discovered last year. We finished Saturday night with a nightcap at Clive's Classic Lounge, an award-winning bar with incredible drinks inside the Chateau Victoria. As for coffee shops, I'd recommend Hey Happy, Habit Coffee and Jusu Juice Bar for some caffeine and sustenance while you're shopping. A weekend in Victoria is not complete without afternoon tea. We headed back to the Fairmont Empress for that, sitting in almost the exact same spot but in a newly remodeled Tea Room. The Fairmont is magical during the holidays, and tea time is always such a wonderful experience. This time, we had the Royal Tea package, which included favorite bites of Princess Diana's and the Queen herself. I was so impressed by how much thought and history went into our pupu platter, from the scones to the sandwiches and desserts. Even the china is adorned with a centuries-old pattern gifted to the Fairmont. After tea, we made our way next door to the new Qbar, which has furnished in an old, rarely used meeting/dining space. The drinks were delicious and the staff was so attentive, even offering to take our photos for us! It's hard not to feel like royalty when you're there - aside from the front desk giving us a hard time about keeping our bags for us while we dined. That honestly put kind of a damper on my tea experience this time around, but the rest of the staff more than made up for it. Note to self: always order the Fairmont Empress royal tea, and just bring all your luggage into the tea room with you! I mentioned this in last year's post, but the Clipper makes it so easy to get between Seattle and Victoria without the stress of driving. You can take the morning boat up and be back for a late dinner if you wanted to, but a weekend trip is the best way to experience it. The ride is almost totally smooth - the Strait of Juan de Fuca is always one to literally rock the boat, though! Just be mindful if you get motion sickness. There's Dramamine available if you need it, plus some really great Northwest menu options for food and drinks. If you've never been to Victoria, I highly suggest the holiday lights at The Buchart Gardens. It's magical! I personally want to go see Hatley Castle next time I'm up there. You might recognize the castle from X-Men and other movies! Okay - now it's your turn! I'm giving away a round trip for two aboard the Victoria Clipper! Enter to win multiple ways below, today through Wednesday, November 30th at 11:59p.m. PST. Good luck! Visit Clipper Vacation's website, Facebook, Twitter and Instagram for more details on the Victoria Clipper. Disclosure: Services provided by Victoria Clipper in exchange for this post and giveaway. All opinions are mine!